On this day in history, September 15, 1776, the British landing at Kip's Bay opens the way for the British capture of New York City unopposed during the American Revolution. After the lost Battle of Long Island on August 29, the Continental Army escaped during the night to Manhattan, which was then called York Island. George Washington was placed in the dilemma of having to choose what to do with New York City. Should he spend tons of blood and treasure defending the city, or should he abandon it? Most of Washington's generals believed the city was strategically unimportant. Washington did not, however, want to abandon the city to the British, who could make the city a base of operations. For this reason, Washington considered burning the city to the ground. Until he heard from Congress, Washington resolved to defend the island. Washington split his 19,000 troops into three groups, the first, under General Israel Putnam, to defend New York City, the second, under General Nathanael Greene, stretched across the middle of Manhattan and the third, under General William Heath, to defend Harlem Heights and the King's Bridge, the only escape by land available to the Continental Army, at the north end of the island. Kip's Bay was a cove that sat roughly where E. 32nd Street to E. 38th Street in New York City lie today. It has since been filled in so is not visible today. The cove was a good place for a naval landing because it had deep water close to the shore. 500 Connecticut militia under Colonel William Douglas were stationed at Kip's Bay and had built a flimsy breastwork there from which to fire. On September 7, Washington received a letter from John Hancock stating that Congress did not wish New York City to be burned, but that Washington was not required to defend it either. 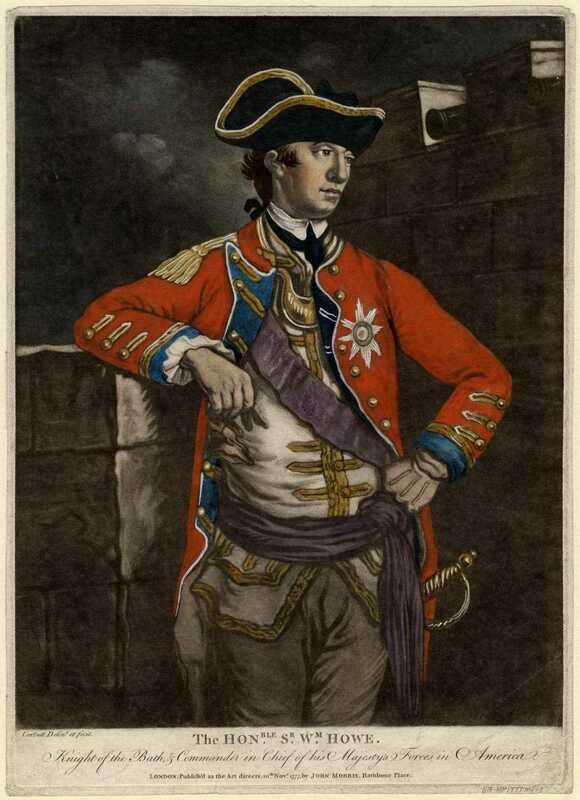 British General William Howe was slow to invade Manhattan, however, waiting until a meeting on September 11th with Ben Franklin, John Adams and Edward Rutledge, which he hoped would produce some kind of peace. When the meeting failed, Howe set about his invasion plans. On the morning of September 15th, 5 British warships sailed up the East River, firing their guns as they went. When they arrived at Kip's Bay, they began bombarding the shore and the weak defenses. 80 cannons fired on the green militia, most of whom were armed with pikes made from scythes. The militia quickly scattered, while a flotilla of flat-boats began landing 4,000 British troops on the shore. Washington came from Harlem Heights as soon as he heard the bombardment begin and watched from a nearby hill. He was horrified as he watched the militia retreat, riding onto the field himself in hopes of rallying them. As the soldiers continued to stream past him, he became angry and began cursing and striking the men with the flat of his sword, in one of the few instances he was known to have lost his temper. Washington came within 80 yards of the British soldiers before his aides were able to pull him off the battlefield. As Howe's men marched after the retreating soldiers, General Putnam scrambled to get his soldiers in New York City north of the British line before they trapped him in the south of the island. Fortunately, Howe ordered his troops to stop and wait for reinforcements, allowing the rest of the Continentals to escape to Harlem and regroup. This left New York City abandoned by the patriots and the British walked into the city unopposed. 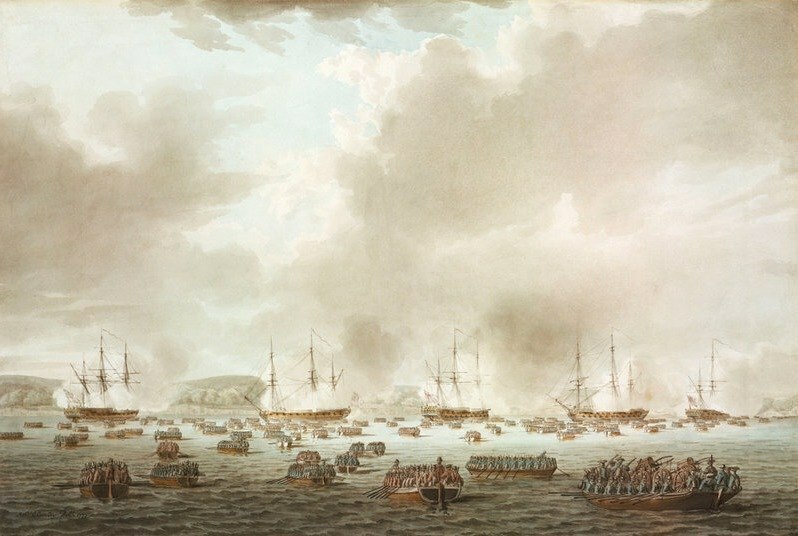 The Battle of Kip's Bay was a clear British victory. About 50 Americans were killed and 320 captured, while only a dozen British soldiers were killed or wounded. George Washington was ashamed and angry at the cowardly behavior of the troops. The following day, however, Washington would be encouraged when his troops won the Battle of Harlem Heights, even though they were outnumbered nearly 3 to 1, in Washington's first battlefield victory of the war.